Having a leased car comes with its perks, but there is the hovering cloud that keeps reminding you to not make any major scratches and dents to the car. We come around the season of the winter holidays and the idea of adding your first large evergreen fir tree to your living room has been on your mind. 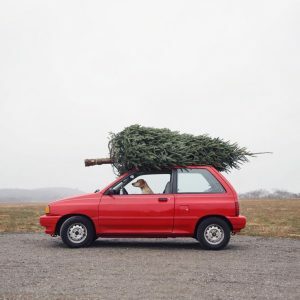 You might think to yourself, “How can I transport my fir tree without scratching my car?”. Here are a few helpful tips. When you go buy your tree, ask for it to be netted. This will make it easier to manage. Make sure you have enough room in your car if you can put down seats and place heavy blankets to catch any falling tree needles. If you are thinking of having it on top of your car, think about investing in a roof rack so you can tie your tree more securely. Place a tarp, plastic sheet or blanket on the roof of your car before placing the tree to protect your car from getting scratched. Tug on your strings and tree to make sure everything is tight and secured! Drive slowly and carefully, especially if it is your first time carrying something large on top of your car. If you can avoid highways and take steady paced roads, do that instead. Think you are ready to haul a tree for your festivities? Be sure to use these tips. Are you also thinking about leasing a newer car, possibly one with a roof rack already installed? Head over to Swapalease.com. Swapalease.com has a variety of vehicles with that awesome feature! We are the largest online lease transfer marketplace and have vehicles and customers in every state in the continental United States and Canada. For more information on finding the best car lease deals or to learn how you can have a successful car lease trade, visit Swapalease.com or contact us at 866-SWAPNOW. 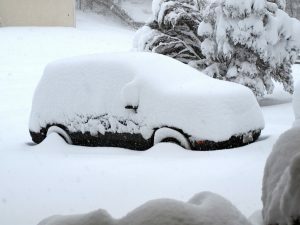 But having your car snowed in can be a major bummer when you need to run important errands, like your holiday shopping. Here are helpful tips and tricks to get you out and about. The common method people do when they see a heap of snow on their car is to grab any broom they can find or a shovel and beginning clearing the snow. Both these methods get the job done, but they can leave your car with ugly scratches from the rough bristles of the broom and the metal from the shovel. Instead, have a foam brush handy or a pair of thick leather gloves. Pull, not push, snow off in a straight-forward motion. Start from the roof and begin working your way down to your windows and doors, your hood, trunk, and front and rear lights. Be sure to clear any snow in the exhaust as well. As you take off snow from your car, you might come across sheets of ice that have frozen onto your car. The worst thing you can do is leave it on your car, even snow, for it to just fly off while driving. This creates a danger to others around you as well. Avoid pouring warm water on the ice. This can cause the glass to crack as well as just freeze the additional water you add on. Take an empty spray bottle and fill with two ingredients, 70% rubbing alcohol and tap water. Spray your mixture onto the ice and let it settle for a few minutes, then take a plastic scraper and begin removing the ice. Whether the winter wrath has begun piling snow onto your car or you have yet to experience it but still found these tips helpful, it is great to apply these to your car, especially if it is a leased car. Headquartered in Cincinnati, Ohio, Swapalease.com is the world’s largest automotive lease marketplace and the pioneer in facilitating lease transfers online. For more information on finding the best car lease deals or to learn how you can have a successful car lease trade, visit Swapalease.com or contact them at 866-SWAPNOW. If you are like many auto consumers, you dread the idea of having to stop by a gas station on your way to work to fill up. For many, they feel like they are visiting gas stations way more than they should. “How is it that I am using up more gas than I think I am? Constantly putting gas is also making a big impact in your wallet. What can you do to conserve and save your fuel? Here are a few helpful tips you can use. – Avoid warming up your car in the morning. While your car is sitting and running, it will use up fuel. – Try going the speed limit. Also, don’t hit the gas or brakes hard. Come to gradual stops then gradually proceed. – Use your air-conditioning while driving. This helps create less of a drag on your engine. – Check your tire pressure and ensure it is at the pressure recommended. Low pressure results in damaged tires and it also reduces your fuel economy. – If you are running errands, see if you can find a shopping plaza that has numerous stores for all the things you plan on buying. Park your car in the center and walk place to place instead of driving and hopping all around town. – Avoid filling your trunk with unnecessary items and avoid making it a storage bin. The heavier your car is, the more fuel it is going to use. – If you can, and if you don’t mind, carpool or take public transportation if you need to go out of your way. – If there is an option to work from home a few times out of the month, take it and conserve your fuel. 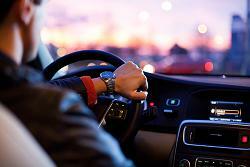 Hopefully, you will keep these tips in mind when you want to conserve your fuel. 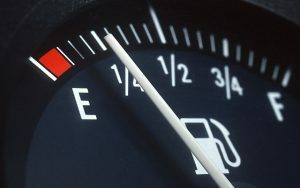 As a matter of fact, if you are looking for a fuel-efficient car, head over to Swapalease.com! Do you find yourself wondering how you can tidy up and improve your daily ride? 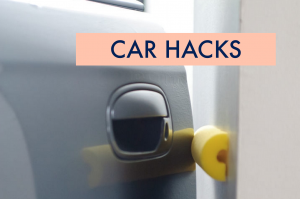 Here are a few creative low budget ideas to create awesome car hacks that can help you out! Plastic Cereal Container: Buy a plastic cereal container and put in a plastic bag for a quick and easy trash bin. Cupcake Holders: Avoid coins sticking to the bottom from drink residue with cupcake paper holders to safeguard your cup holders. Multi-File Folder: Put your registration and other important documents in an organization folder for quick access when you reach for your glove box. Fabric Softener Sheets: Place scented fabric softener sheets in your car to eliminate unwanted odors. DIY First-Aid Kit: By a plastic container and fill with dollar store medical items. Plastic Bag Dispenser: Take an empty tissue box and fill it with plastic bags for emergencies of any kind. Bungee Cord: Have a long bungee cord handy in your trunk. Made a trip to the grocer? Attach one hook of the bungee to one side of your net holder and run the cord through the handles of your bag. The other end hooks to the other side and bam! No more tossed bags. Noodle Safety: Having trouble with opening your door in your garage without hitting the wall? Cut pool noodles in half and stick/nail them to the walls where your doors usually hit. Ping-Pong Parking: Need assistance parking as you enter your garage? Avoid hitting any items in front of you or the front wall by hanging a ping-pong ball on a string right in front of your windshield. Place it where you have enough room in front of your car. Mirror Parking: Another garage hack! Place a couple mirrors, big or small, to act as a guide for pulling in and out of your garage. With these awesome hacks, you can avoid any dings, dents, and trash collecting in your car, especially if it is a leased car! Swapalease.com, the largest online lease transfer marketplace, carries inventories from these same brands and similar models? Swapalease.com is the online marketplace with vehicles and customers in every state in the continental United States and Canada. For more information on finding the best car lease deals or to learn how you can have a successful car lease trade, visit Swapalease.com or contact them at 866-SWAPNOW. Summer is here and for some states, it is as hot and bright out as ever! But some states are experiencing heavy rain. Dangerous conditions on the road can lead to dangerous accidents, but by following some tips while driving through crazy weather, you can reach your destination more safely. Here are some driver safety tips while driving in the rain and why not throw in some snow tips as well! Driving through heavy rain can be nerve-racking. Take your time and try not to rush to your destination. Driving too fast can cause you to lose control and hydroplane, especially if you hit an oil spill. Be sure to not tailgate! Tailgating is often the cause of rear-end accidents and through the rain, it is harder to stop as quickly as if the roads were dry. Keep your distance.Even if it is bright as it can be outside. Because rain impairs the vision of many drivers, having your headlights on and rear lights on helps drivers see you more easily, especially in heavy rain where visibility is almost non-existent. Even if it is bright as it can be outside, have your lights on in the rain. Because rain impairs the vision of many drivers, having your headlights on and rear lights on helps drivers see you more easily, especially in heavy rain where visibility is almost non-existent. Like driving through the rain, you also have the chance of sliding in snow or ice patches on the road. Drive slow and keep a good ten-second distant from cars. Cars tend to react more slowly in the snow so be sure to keep a steady pace. When you are coming up to a stop light, turn, and hills, keep the steady pace and do not rush. Slow down and safely stop when needed. Be sure to check your tires. Cold weather reduces tire pressure, which can lead to a blowout or a flat tire while on the road. Check your tailpipe! Because of how heavy snow can fall and build on the ground, it can get inside your tailpipe and get stuck. Compacted snow in your tailpipe can lead to carbon monoxide poisoning in the car. So before you go anywhere, check and clear out your tailpipe. With summer temperatures rising and kids being out of school, most families opt to travel during the summer to enjoy time together. However, getting the kids and pets ready isn’t the only thing you should be worried about before heading out the door. Making sure your vehicle is running as smoothly as it should be and getting it checked out might be just as important as the trip itself. The average American family car is 11.4 years old. That means when you plan your family road trip, you also need to plan a maintenance check for your vehicle. You don’t want to get stranded in the middle of the highway because your car broke down. A recent article in WPRI 12 acknowledged the importance of regular car maintenance checks. For families and individuals looking to save money this summer, maintenance checks can take up a big chunk of your budget. Why spend money on aging vehicle maintenance checks, when those are included in most car leases? For budget-conscious individuals, leasing a car is the best way to go. You are able to drive the latest models, not worry about additional maintenance costs, or loan lengths. 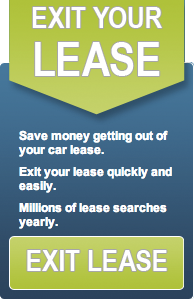 Swapalease.com is the online marketplace for the best lease deals. And, if you’re looking to take over someone’s lease, there’s no down payment required. Instead, use that money on your planned trip! Swapalease.com has a variety of lease listings, just waiting to be taken over. The world’s largest online lease marketplace matches individuals looking to get out of their lease with individuals wanting in, saving both party’s time and money. The online marketplace has vehicles and customers in every state in the continental United States and Canada. For more information on finding the best car lease deals or to learn how you can have a successful car lease trade, contact Swapalease.com at 866-SWAPNOW. Summer is upon us and with it comes endless family trips to the beach, amusement parks and anywhere in the continental United States. With the kids out of school and parents taking their vacation days, it’s no surprise that families want to travel comfortably. As families and individuals get ready to enjoy their summer, most will opt for a road trip to new and unfamiliar places. USA Today recently released their 10 Best Cars for a Summer Road Trip that appeals to a variety of drivers and driving needs. As summer gives way to hotter temperatures and longer days, some manufacturers are offering the hottest deals of the season. For families and individuals looking to get into a new vehicle now is the perfect time. Treat yourself and your family to a trip they’ll never forget. Some families even opt for a short-term lease that fits their unique needs for summer travel, such as a convertible or a lease with lots of miles left on the contract for additional drive time. Conversely, you don’t have to stay stuck in your current vehicle lease, either. In this day and age, there are many alternatives to owning a car. Swapalease.com is one such option. Individuals and families looking to get out of their current lease can find deals and models that fit their budget. Being trapped in your lease is a thing of the past. Swapalease.com matches individuals wanting out of their lease with individuals wanting in. The process is simple, seamless and done in as little time as possible. The online marketplace has vehicles and customers in every state in the continental United States and Canada. For more information on finding the best car lease deal on safe cars or to learn how you can have a successful car lease trade, contact Swapalease.com at 866-SWAPNOW.